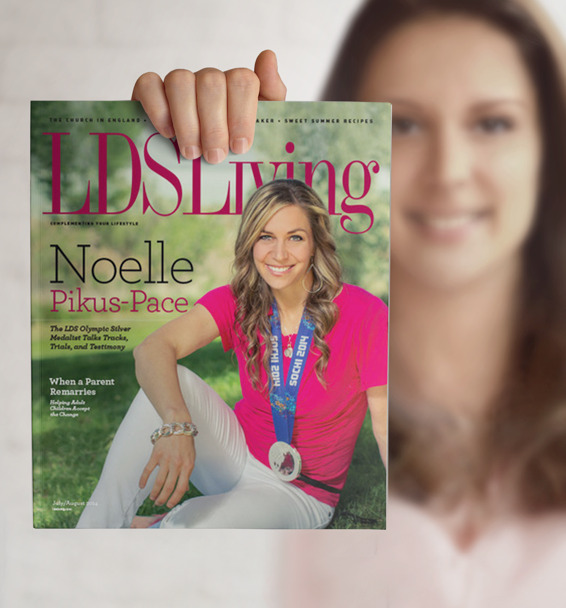 WIN a FREE year subscription to LDS Living Magazine. Each publication is filled with stories about "Mormons" who are doing much good in the world. They are people from all walks of life, all backgrounds, men and women of God who are seeking to fulfill their God-given responsibilities by using their gifts and talents to help make the world a better place. We invite you to enter the contest by telling us why you'd like to WIN a free subscription. We'll select our favorite entry and post the Winner on December 2nd. Send your entries to MormonMomsBlog@gmail.com. Include your full name and full mailing address (in case you win.) We'll keep your information private and not share with any outside sources. Also, included right now is a promotion for everyone. For only $12.00 you can get a whole year's subscription for 2015. Go to this subscription page for more details. You must sign-up for that by the end of this year. The LDS Living website is also filled with wonderful information and articles about strengthening home and family, building a better marriage, fun crafts, delicious recipes, holiday ideas, home decor, LDS businesses etc. You'll want to check them out if you haven't already. Enter to WIN a FREE year subscription! Tell us why you'd like to win a free subscription. We'll select our favorite entry. Contest ends Dec. 2nd at midnight. We'll select a winner and announce it on December 3rd. Then, LDS Living Magazine will get you all set-up to receive your new magazine for all of 2015. Good luck to all! Free free to share this with your friends and family!